Weather you are Buying, selling, brokering, parking and developing a domain name there is need of domain name research. If you want to get success in domain name industry then you need to do domain name research because without any domain name research you cant ever get success in domain name industry. We often hear that this domain name was sold at that much dollar and others at that much dollar because domain name is still having value in the market. People are brokering domain names because they have done a lot of domain name research. A successful domain name investor or broker always do domain name research by collecting all the history and upcoming chances of success of a domain name.Now obviously to get success in domain name industry or to earn lot of money in domain name industry we need to research on domain names. 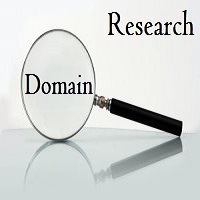 Why Domain Name Research Is important? If you are going to make a new website then you need to purchase a domain name. For some SEO reasons there should be a targeting keyword in your domain name this helps to get the more traffic to your website. If you are a domain name investor then obviously you need to do domain name research to maximize your profit in your business. Then you need to check its estimated value to buy and sell domains. So now the question Arieses is that how to do domain name research? These are the mostly 5 factors of a domain name which we can check from the whois. This is the first infomation which we need to know when we are doing domain name research. Mxtoolbox is very important factor in the domain name research because while you are buying a domain name then you need to check it is black listed or not. If its not then there is no harm to domain name from blacklist or from DBL. You just need to type your domain name in the Mxtoolbox and need to search for black list availability. If all the list is green then there is no problem otherwise we need to request to delete our domain name from the spam list. There is site named as ExpiredDomains.net where you can check the status of domain weather it is expired or live. Also you can check here backlinks information of domain. Also you can check the traffic of domain name from using this site and domain name CPC too. So this is the good tool chekc the domain authority. There are two sites available on the internet to check the your domain’s trademark infringement. If you are going to buy a domain name and if it is trademark then dont buy that domain name because that domain name can be harmful for your future. This is great tool used in the internet industry to check the previous screen shot of a pre developed domain name or a website. We can get the information about the domain name how the previous hosted site was looking on the particular domain name. So these are all the valuable information used for the domain name research. This is very good tool used for the domain name sellers or buyer to check the estimated value of the domain names. Estibot provides the appraise value of domain name.